CLICK HERE FOR INFORMATION ON HOW TO JOIN NEPMA! As the organizational rallying point for the entire pest management industry, both the NPMA and NEPMA sponsor Legislative Days each year in Washington, DC and in Boston to discuss industry issues, formulate positions and present them—in person—with legislative and congressional representatives. We encourage your participation. When you join NEPMA/NPMA, you add additional resources to your companies operations…resources that you might not otherwise be able to afford or justify…resources that you can use to increase sales and customer satisfaction, and reduce operational expenses and problems. In short, you get a large number and wide variety of important tools that you can use to run your business more efficiently, more productively and more profitable. There has never been a better time to make the commitment. Decide today to benefit from the combined resources and membership benefits now available from NEPMA and NPMA. For you to take advantage of the many opportunities available to you, you need a network of companies, colleagues and vendors who share your interest across the country and around the world. You need an organization that lives inside your world…that shares your concerns and aspirations…a group that understands your needs and feels the pulse of the industry to which you’ve committed your professional life. That’s fulfilled through your membership in the NEPMA and NPMA where relationships and networks are forged to provide you with precisely these opportunities. As part of our ongoing effort to help you do your job more efficiently and with fewer regulatory encumbrances, both the NEPMA and NPMA meet with state and federal legislators and regulatory agencies to ensure concerns pest management professionals receive the attention and consideration they deserve at state, regional and federal levels. Try putting a price tag on this service and you’ll discover that it justifies your membership dues all by itself! The New England Pest Management Association publishes six times a year Controlling Interest newsletter to help keep you abreast with news from the nation and New England states, association activities, schedules of events, pest management industry feature articles and more. Controlling Interest is our communication tool among members and the public. Announcements of new products, personnel moves as well as legislative and regulatory affairs help keep you informed. NEPMA is committed to providing a full scope of educational opportunities to its members and non-members from technicians to sales staff to managers. In addition to recertification workshops in pest management technology, NEPMA has developed business and technical seminars. Your NEPMA hosts two multi-day educational workshops yearly…one in the spring and one in the fall. Workshops qualify for continuing education credits toward re-licensure, as well as other programs throughout the year. In addition, the National Pest Management Association hosts educational workshops and programs in addition to its annual conferences. Both the New England Pest Management Association and the National Pest Management Association maintain toll free telephone hotlines to provide you, as a member, with instant access to needed information and to NPMA’s expert technical department. NPMA’s “Information Central” was developed to give you practical solutions to your most difficult and pressing challenges, and provides you with the outside expertise and resources you need to make informed business decisions. Once a year, pest management professionals from all over the country gather for our industry’s largest and most prestigious event, the annual NPMA Annual Convention. In addition, NPMA also hosts an Eastern Regional Conference for pest control professionals in the northeast. And, as an NEPMA/NPMA member, you and the other employees of your company will receive significant discounts on convention registration fees…discounts that can more than pay for your membership dues! In addition, the NEPMA hosts Spring and Fall technician training seminars with topical sessions featuring our industry’s leading experts. Learn about the latest developments in equipment, products, services and more in our exhibit hall. Both the New England Pest Management Association and the National Pest Management Association maintain web sites to assist those seeking to hire pest control professionals and to provide technical assistance on pest control issues, concerns, or matters. As a member you will be listed on these web sites, which can become a valued referral service. And, when you become a NEPMA/NPMA member, you will have access to information only available to members. Click on www.nepma.org or www.pestworld.org today to view these sites! From insect identification information, regulatory updates and techniques in pest management to sample contracts and membership bulletins, monthly technical releases, management reports and service letters have defined both the technical and management state of the art in pest management for more than 50 years. As a NEPMA/NPMA member, you’ll get dozens of these unique and valuable reports on your desk each year…practical information that you can use or share with other members of your staff. From our Professional Pest Management Alliance to our leadership development projects and ongoing lobbying efforts, NEPMA and NPMA are passionate and tireless advocates of pest management, pest management companies, and your individual interests as a pest management professional. 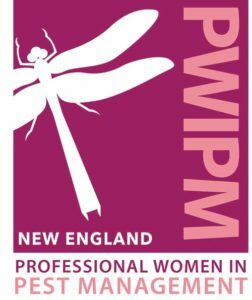 And when you join, you add the weight of your convictions and professional commitment to that of hundreds of other New England PMPs who have already identified NEPMA and NPMA as leaders in promoting the pest management industry. The NEPMA is an active participant within the Commonwealth of Massachusetts in the Green Industry Alliance to keep abreast of issues, legislation and regulations affecting the pest control industry and related fields. An active legislative committee also keeps abreast of legislative and regulatory matters in other assigned states. On a national level, the NPMA is the industry’s voice and watchdog for national and international issues affecting the pest control field. -The Bart Eldredge Award for continuous distinguished service to the industry. -Professional of the Year for superior performance. -Mark Weintraub Scholarship to a deserving high school graduate. As a NEPMA/NPMA member, your company will be entitled to display logos of the New England Pest Management Association and the National Pest Management Association on your business cards, corporate letterhead, vehicles and advertisements…reinforcing your professional image among both customers and prospective customers. Within the NEPMA we will provide you with a sheet of logos that can be used for this purpose. As a member of the NEPMA, we will also provide you with a membership plaque that can be proudly hung within your offices or other noticeable location to display the fact you are a professional as a member. The National Pest Management Association’s INFOTRAC Chemical Emergency Response System was developed to help you meet stringent U. S. Department of Transportation emergency response information requirements at a small fraction of what this service would cost you as an individual PMP.